As Prime Minister Nikol Pashinyan's chief foreign policy adviser, Arsen Gasparyan manages one of Yerevan's most sensitive relationships: that with Russia. Since being appointed in July, he has repeatedly met with senior Russian officials, and was part of Pashinyan’s delegation to Moscow for a meeting with Vladimir Putin in early September. At the same time, he has been fighting a lawsuit about an unpaid debt in the United States. According to public records examined by Eurasianet, three lawsuits over the last three years have been filed against Gasparyan, a U.S.-Armenian dual citizen, for unpaid debts totaling about $25,000. Two of the suits have been settled, but the third is ongoing, with the most recent motion against Gasparyan filed in a Florida court on October 1. Though financial troubles are not unusual, and the amounts in this case not huge, they inevitably raise questions about an individual’s vulnerability and loyalty. Debt problems are typically disqualifying for even low-level security clearances in many countries. For an official in the United States, such financial history would “raise red flags,” said Andy Wright, who served as associate counsel in the Obama White House. Of course Armenia has different traditions, but Pashinyan’s choice of Gasparyan comes amid a string of foreign policy blunders and could bolster critics who say the new leader’s team is problematic. Gasparyan told Eurasianet he has no comment regarding the lawsuits. “That is a civil lawsuit, and it doesn’t make sense to write about it because it interests nobody,” Gasparyan said. “This is a strictly personal matter.” He said that he didn’t plan to attend the next hearing, because “those matters are taken care of by the lawyers.” Court records, however, indicate that Gasparyan is representing himself in the case. Before being appointed by Pashinyan in July, Gasparyan, 52, was little known in Armenia, having spent most of the last two decades in Russia and the United States. He held a number of posts in the Ministry of Foreign Affairs in the 1990s, including a stint as spokesman between 1996 and 1998. After leaving the foreign ministry, Gasparyan moved to Moscow, establishing himself as a pioneer of what he called “the cigar-smoking lifestyle.” In the early 2000s, Gasparyan founded and ran Russia’s first cigar-themed magazine, Hecho a Mano, dubbed by Gasparyan as “the exciting guide to the school of luxury." He later moved to Florida to start Arsen, his own brand of Dominican cigars, along with cigarmaker and restaurateur Augusto Reyes. Arsen cigars were distributed in the U.S., Russia, and Ukraine; product lines included Pink for Men and Connoisseur Collection. Until 2014, Gasparyan also served as president of Vitolier, a Florida-based cigar importer. Gasparyan's official resume on the Armenian government website does not list his cigar businesses, nor does it mention more recent work as an executive at an oil company owned by a Russian energy mogul. In 2016, a business magazine listed him as “director of the U.S. Bureau” of Esproenko International, an oil and gas corporation based in Spain. Gasparyan confirmed his employment at Esproenko, but said that it had ended by 2015. Under Armenian law, an official can be denied or stripped of security clearance if he or she “has presented deliberately false information.” Access to sensitive information regarding “foreign policy” and “foreign economic relations” requires a security clearance. He also was teaching at nearby Miami Dade College. While the official resume says he has worked as a “lecturer” at both schools from 2006, he started at the University of Miami in 2013, working as a teaching assistant while enrolled as a graduate student. At Miami Dade, he has taught since 2015, a school spokesperson told Eurasianet. “I love the academy the most, I love to teach,” Gasparyan said. Financially, he has been less successful. A review of court records shows that Gasparyan has been sued three times since 2015 for unpaid debts. In 2015 and 2016, he was sued by American Express and Capital One Bank for failing to pay credits of $10,487 and $5,335, respectively. In the first case, a judge ordered Gasparyan to pay the debt plus costs; the second case was dropped by the bank. Gasparyan occasionally comments publicly on other issues, as well. In early October, he was involved in a minor political controversy when he said that there were no obstacles to foreign investment in Armenia. Some media interpreted that as contradicting Pashinyan's regular claims that early parliamentary elections are necessary to attract foreign investors, and he was forced to call a press conference to clarify. He has joined a foreign policy team beset by missteps, contributing to perceptions that foreign policy under Pashinyan is a work in progress. 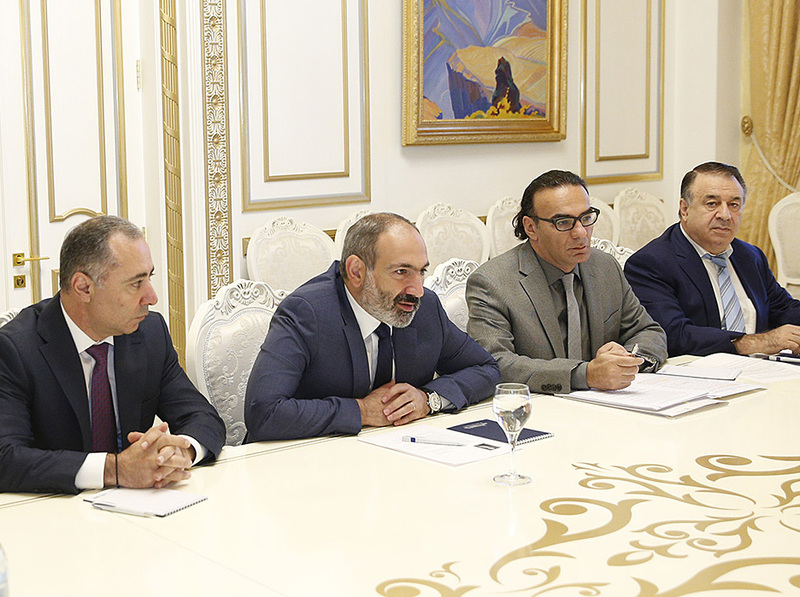 On a July visit to Brussels, Pashinyan publicly complained the European Union wasn’t providing enough aid. The European envoy responded by saying that the EU must first receive “concrete proposals.” Later, the government brought charges against Yuriy Khachaturov, the head of the Collective Security Treaty Organization, a Russia-led military bloc, for his role in violently breaking up protests in 2008. Moscow, which had not been consulted, was aghast. In August, a widely publicized effort to set up a meeting between Pashinyan and U.S. President Donald Trump fell flat. Gasparyan's predecessor resigned shortly after.